A must see! 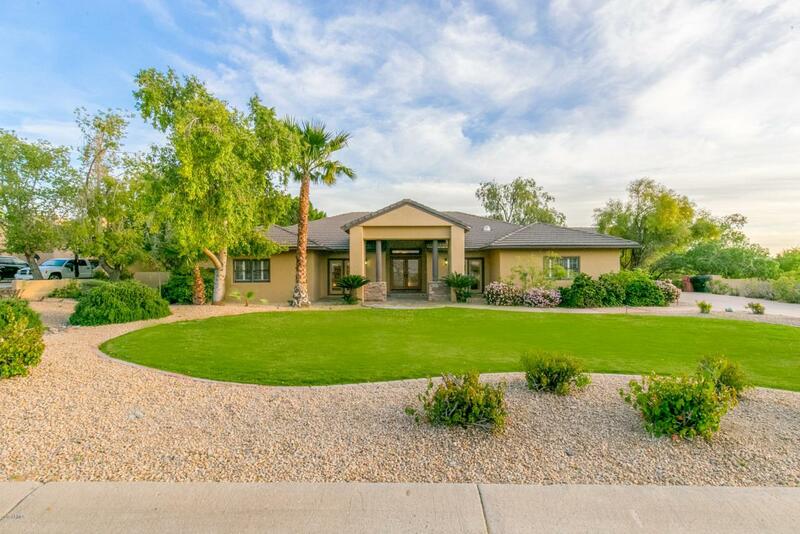 Stunning corner lot home that sits on over half an acre! This home features fabulous design elements from the inside, out. With a custom built chef's kitchen fully equipped with all stainless steel Viking appliances, abundance of custom cabinetry, granite countertops, oversized island with built-in sink, breakfast bar, built-in wine rack & cooler! In the exquisite master bedroom suite you will find a stunning fireplace, private exit to the gorgeous backyard, beautiful subway tiled jacuzzi tub & oversized double shower head, dual sinks with a built-in vanity & a huge walk-in closet! The resort style backyard is absolutely perfect for entertaining and features a diving pool, built-in grill & mature landscaping throughout! Located minutes to tons of great shopping & dining!